Make any day a celebration! 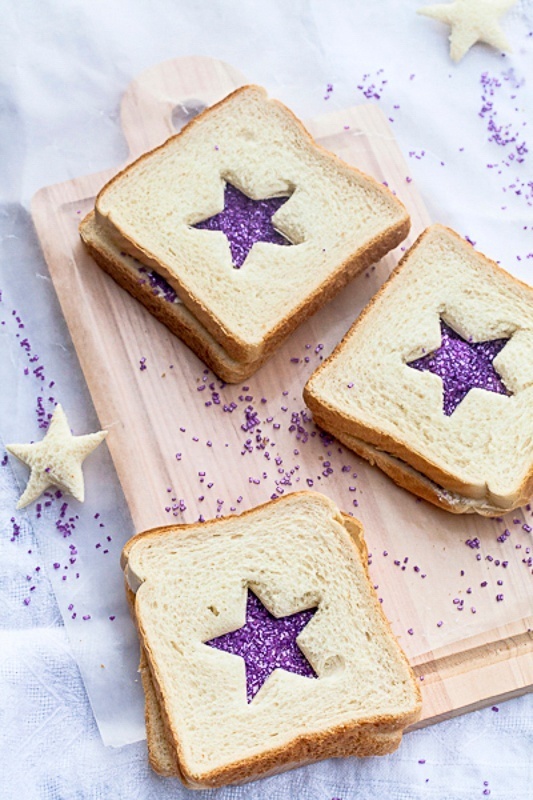 Just barely sweet, these sparkly sandwiches make a fun breakfast surprise, after-school snack, or party food. Inspired by Robert Louis Stevenson’s poem “Fairy Bread” in A Child’s Garden of Verses, fairy bread is a popular treat at children’s parties in Australia, New Zealand, and other little pockets of the world. 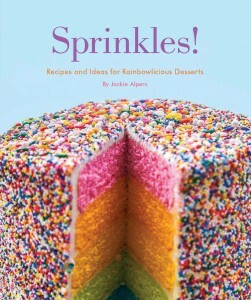 This recipe is from my book Sprinkles! : Recipes and Ideas for Rainbowlicious Desserts. The photograph is previously unpublished. *Butter is typically used for Fairy Bread, but other spreads work just as well. Cream cheese, jam, Nutella, and many other spreads are suitable for catching sprinkles. Cut crusts off bread. Spread a thin layer of butter on one side of each slice. Use cookie cutters to cut out shapes in 4 of the buttered slices. Previous post: How to paint Spring flowers on cookies with natural food coloring.